In these pages you will find features related to the history of Zejtun. The pages are divided into different historical eras through which the Islands of Malta have passed. 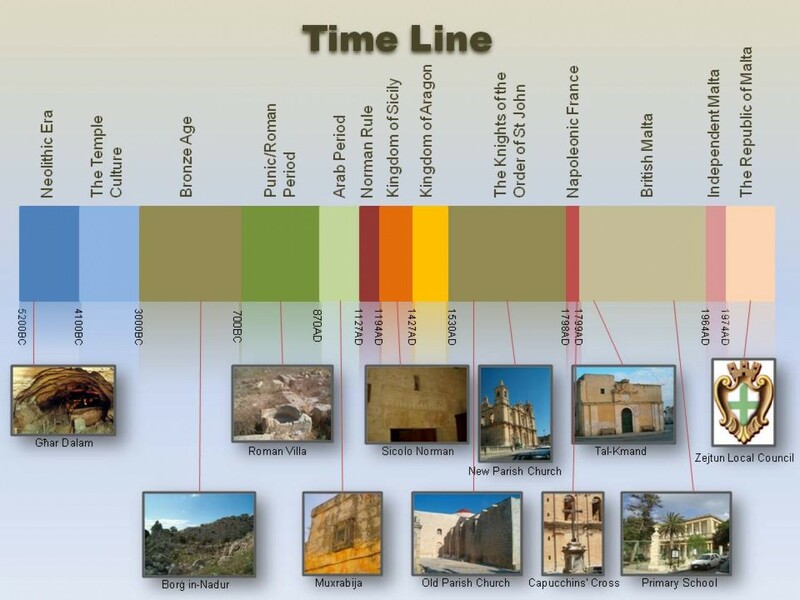 The image below shows the timeline which will be used in the pages gathered under the history section.